Mexicans in generally are known to be passionate and full of life. If you are attracted to Mexicans then this is a site that is specifically designed to help you hook up with your ideal partner. It is not a gender specific site just a place where you can subscribe to meet potential mates of Mexican origin. It features both Mexican men and Mexican women from all over the world. Here you can also specify the type of individual you are looking for. Some details you can include here are the height, complexion, hair colour and even nationality if you wish. It is all up to you. Feel free to divulge information that will attract a person that meets the criteria for what you are looking for in a romantic partner. Whether all you are looking for is a simple hook up, friendship or long term commitment. You can definitely find it here! Why Should I upgrade my account? Sure, even without an upgrade you are able to browse through profiles of other users in the site. What you are not able to do is actually send messages to potential matches and be able to receive messages from them. One would argue that without upgrading your account you are not really taking advantage of what MexicanCupid.com has to offer. Once you have upgraded your account you will be able to not only access potential matches but also communicate with them. As an upgraded member of this dating site you will be able to chat, send and receive both text and video messages from both paying and non-paying members. Additionally, as a paid member you are also able to enjoy automatic translation between you and the people you choose to communicate with. It is however important to keep in mind that the translation service is not perfect. You have to sometimes do the translation on your own to avoid miscommunication. The bottom-line is that being a paid user will transform you from just a member into an actual person looking for romance online. You can reach out to anyone you wish and also communicate with the often. There are three different options for an account when it comes to MexicanCupid.com. The first type of account is the free account, then the premium accounts which are Gold and Platinum. This is the first type of premium account. With this type of subscription you are able to send and receive messages, therefore freely communicate with all types of members. Additionally, you can also have live chats with any potential matches though an in-site instant messenger. This app comes in handy in enabling easy communication. As with most dating sites the more time you are willing to commit the less you pay. One month subscription in a gold account requires $29.98, while for a three month subscription you need to pay $60 which is 20 for every month. If you decide to take the plunge and subscribe for a whole year, you only end up paying $10 for each month which adds up to 120. This type of account affords you all the perks that the gold account give in addition to extra advantages over other members. For instance, you will a better ranking than other members. Additionally, you will also be easily discoverable by other people who are looking for potential matches. What makes this type of subscription a great idea is that you have more space in your profile to describe yourself and what you are looking for in a potential match. Monthly payment is £34.99 a month while 3 months subscription is $69.99 which means 23.33 for a monthly period. For a whole year subscription you will pay just $12.50 for a month. Which level of subscription has the best value? The simple is fact is that when it comes to Mexican Cupid, the Gold account has the best monetary value. While the difference in price is not very big between platinum and gold you get the essential features needed to look for matches and communicate with them. Honestly, the additional features that you get with a platinum account are not all that necessary. Arguably the most important feature in a platinum account is the translation feature whichyou can do without. MexicanCupid.com has many active users who are looking for friendship, hooking up and even long term commitment. The high numbers make it easier to find a potential match who will appeal to your desires and provide what you are looking for whether it is love or friendship. The MexicanCupid.com is extremely easy to use. The site is uncomplicated and sprinkled with guiding links that help navigate the site quite easily. Anyone with basic computer knowledge will be able to use this site without any difficulty. Like any other dating site the more you commit, the less you pay. This is no different when it comes to Mexican Cupid. Long term users only have to pay a little more than 10 for an entire month. Well, nothing comes free. You have to pay in order to actually establish a real connection with potential matches and also communicate with them freely without any restrictions. 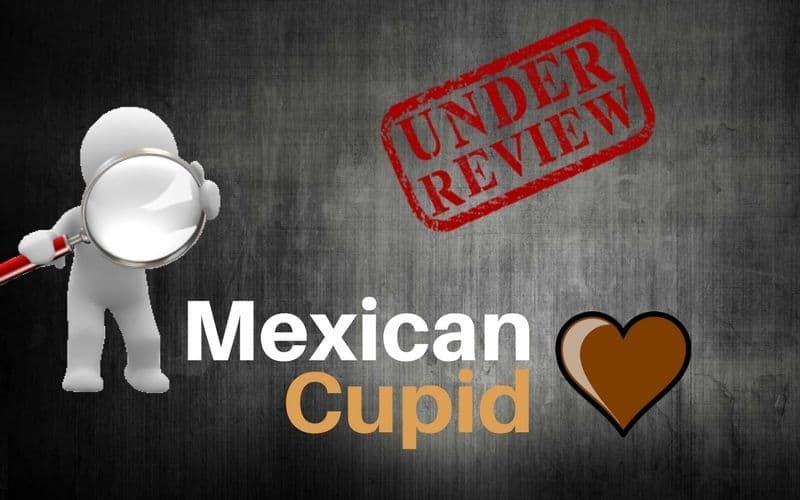 Does it Mexican Cupid Really Work? All over the world Mexican women and men are known for their spirited devotion to traditional family values. If you are in the market for a Mexican lover, friend or simply hooking up then this is undoubtedly a great place to start! Start you free membership today, it gives a great idea of what to expect from the site. You never know, this could be where you meet the love of your life!